Cricket and 501 will be the two dart events. For both events, all matches are the best two out of three games. 1. The object of cricket is to close the numbers 20, 19, 18, 17, 16, 15 and the bull’s-eye in any order before your opponent(s). 2. The player that closes numbers 15-20 and the bull’s-eye first, and has a greater or equal point score, wins. 3. A close is considered 3 marks which can be done by 3 singes, a double and a single or a triple. 4. If you close and your opponent doesn’t have it closed, you can score more points. 5. Winner of the game has all above numbers closed and more points. 6. 501 is starting at 501 and taking it down to exactly zero and your last dart being a double. Example is if you have 36 left, you must hit a double 18. 7. If a player scores more than the total required to reach zero, the player “busts” and the score returns to the score that was existing at the start of the turn. 8. When a player reaches zero, the game is over. 9. If the game score ends in a tie, the player/team that reaches zero first wins. 10. In both 501 and cricket, a match can be won by one player winning two straight games. Winners will advance. Medals will be awarded for both 501 and cricket to first, second, and third to Division 1 and Division 2 athletes by gender and age group. 1. Dart staff will be responsible for queuing competitors and directing them to the appropriate lanes. 2. 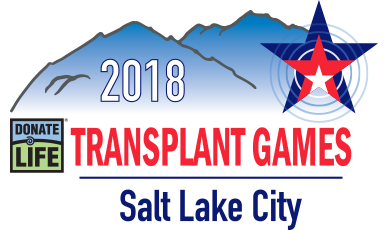 Each athlete will stay at their designated board for the entire game. 3. Each player throws a maximum of three darts per turn. 4. It is not required for a player to throw all three darts on every turn. A player may choose to pass or throw fewer than three darts. 5. Darts may not be thrown again if they miss the board or bounce out; only if darts are dropped. 6. Darts on the board can’t be touched until the turn is over and players change. 7. Fouls must be called in the round it is committed. 8. Distracting behavior while a player is throwing is not allowed and is considered a foul. 9. Any player that commits three fouls in one game will forfeit the game. 10. An outer bull’s-eye is worth 25 points and an inner bull’s-eye will count for 50 points. 11. Darts will be provided. 12. Athletes are allowed to bring their own darts within the restrictions. Darts used in play cannot exceed an overall maximum length of 30.5 cm (12 in. ), nor weigh more than 50 gm per dart. The American Dart Organization rules apply (www.adodarts.com). With some modifications. 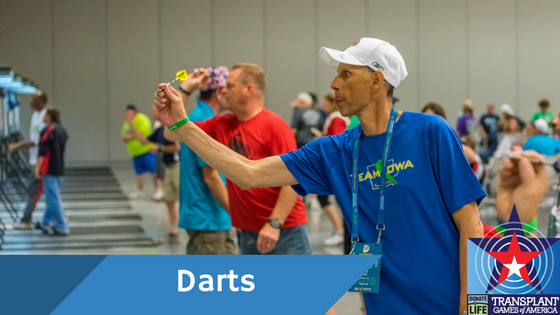 Once an event is completed and results are available, darts staff must record all competitors and times/scores to the appropriate system/documents. When electronic scoring is being utilized a manual backup system must be in place to record results.